Safflorite: Mineral information, data and localities. Must contain Fe and/or Ni replacing Co for structure stabilization. Named in 1835 by Johann Friedrich August Breithaupt from German "Safflor" or "Zaffer" because it was used in the manufacture of zaffer, an impure oxide of cobalt used as a pigment. "Chemical analyses of various natural and synthetic samples reveal that Pnnm safflorite always contains some amounts of Fe and Ni, whereas materials with 80–100% (mole) CoAs2 crystallize in monoclinic P21/c symmetry [= clinosafflorite] (Holmes, 1947; Swanson et al., 1966; Radcliffe & Berry, 1971)." (Yang et al., 2008). Silver 87 photos of Safflorite associated with Silver on mindat.org. Skutterudite 35 photos of Safflorite associated with Skutterudite on mindat.org. Nickeline 16 photos of Safflorite associated with Nickeline on mindat.org. Calcite 14 photos of Safflorite associated with Calcite on mindat.org. Bismuth 8 photos of Safflorite associated with Bismuth on mindat.org. Dolomite 7 photos of Safflorite associated with Dolomite on mindat.org. Löllingite 7 photos of Safflorite associated with Löllingite on mindat.org. Chlorite Group 5 photos of Safflorite associated with Chlorite Group on mindat.org. Arsenic 5 photos of Safflorite associated with Arsenic on mindat.org. Maucherite 4 photos of Safflorite associated with Maucherite on mindat.org. Breithaupt, A. (1817) Strahliger Weisser Speiskobold. C.A.S. Hoffmann´s Handbuch der Mineralogie, Vol. 4.1.- Freiberg, Verl. Craz & Gerlach, 181-182. Breithaupt, A. (1835) Journal für praktische Chemie 4, 265. Flink (1908) Ark. Kemi: 3(11): 73. Buerger, M.J. (1937) A common orientation and a classification for crystals based upon a marcasite-like packing. American Mineralogist: 22: 48-56. Palache, C., Berman, H., Frondel, C. (1944) The System of Mineralogy of James Dwight Dana and Edward Salisbury Dana Yale University 1837-1892, Volume I: Elements, Sulfides, Sulfosalts, Oxides. John Wiley and Sons, Inc., New York. 7th edition, revised and enlarged: 307-309. Radcliffe, D., Berry, L.G. (1968) Safflorite-loellingite solid solution series. American Mineralogist: 53: 1856-1881. Radcliffe, D., Berry, L.G. (1971) Clinosafflorite; a monoclinic polymorph of safflorite. The Canadian Mineralogist: 10: 877-881. Bulletin de Minéralogie: 89: 213-215. Yang, H., Downs, R.T., Eichler, C. (2008) Safflorite, (Co,Ni,Fe)As2, isomorphous with marcasite. Acta Crystallographica: E64: i62. The following Safflorite specimens are currently listed for sale on minfind.com. Exel, R. (1982): Die Mineralien Tirols, Band 2: Nord- und Osttirol, Vorarlberg. Verlag Athesia, Bozen, 198 pp. THOMPSON, R.M. (1951) Mineral occurrences in Western Canada. American Mineralogist 36, 504-509. M.Kampf; Satterly, J. (1977) A Catalogue of the Ontario Localities Represented by the Mineral Collection of the Royal Ontario Museum; Ontario Geological Survey Miscellaneous Paper MP70,464p. ; Traill R. J. (1983): Catalogue of Canadian Minerals Revised, Geological Survey of Canada, Paper 80-18, P. 312. Satterly, J. (1977) A Catalogue of the Ontario Localities Represented by the Mineral Collection of the Royal Ontario Museum; Ontario Geological Survey Miscellaneous Paper MP70,464p. ; Traill R. J. (1983): Catalogue of Canadian Minerals Revised, Geological Survey of Canada, Paper 80-18, P. 312.
ⓘ Cleopatra Mine (HiHo) ? Ontario Geological Survey (2014), Mineral Deposit Inventory file No. MDI31M05NE00135. Schnorrer-Köhler, G. & Grundmann, G. (1986): Neufunde von St. Andreasberg. Lapis 11 (3), 13-17. P. Andresen collection, obtained from T. Krassmann, 2004.; Vollstädt,H. & Weiß,St. (1991): Mineralfundstellen Sächsisches Erzgebirge, München, S.26ff. Gunnar Färber and Thomas Witzke (2010) Lapis, 35, #11, 35-36. Praszkier, T. (2010): Mineralogische Bonanzas - die Funde der letzten beiden Jahre in Bou Azzer, Marokko. 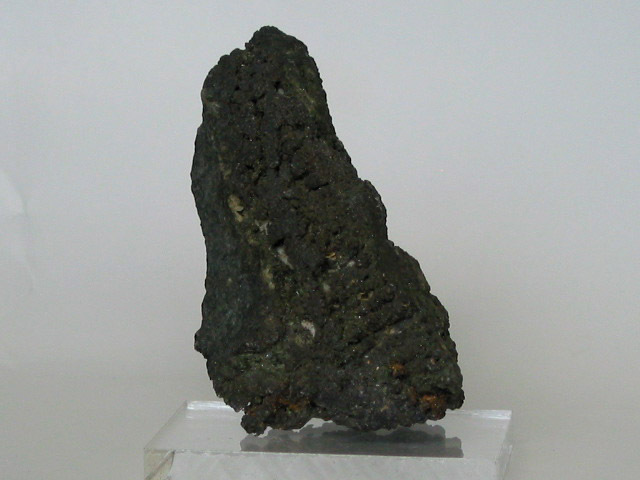 Mineralien-Welt 21 (2), 68-77; Praszkier, T. (2010): Dyskrasit, Allargentum und Safflorit: Neufunde aus der Bouismas Mine, Bou Azzer, Marokko. Lapis, 35 (11), 32-34. Matos, J.X. ; Relvas, J.M.R.S. (2006) Mina do Lousal (Faixa Piritosa Ibérica). Livro Guia Excursão C.4.1, VII Cong. Nac. Geologia, Estremoz, Un. Évora, Portugal, pp. 23-25. Men'shikov, Y.P., et al (2006), American Mineralogist: 91: 922-928. Men'shikov, Y.P., Krivovichev, S.V., Pakhomovsky, Y.A., Yakovenchuk, V.N., Ivanyuk, G.Y., Mikhailova, J.A., Armbruster, T., and Selivanova, E.A. 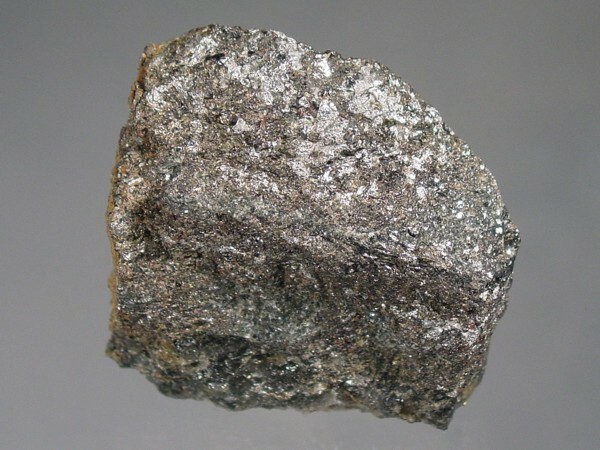 (2006): Chivruaiite, Ca4(Ti,Nb)5[(Si6O17)2|(OH,O)5]·13-14H2O, a new mineral from hydrothermal veins of Khibiny and Lovozero alkaline massifs. American Mineralogist 91, 922-928. Ixer, R.A. and Stanley, C.J. (1987): Proceedings of the Yorkshire Geological Society 46, 133-139.; Ixer, R.A. and Stanley, C.J. (1987): Proceedings of the Yorkshire Geological Society 46, 133-139. Livingstone, A. and Macpherson, H.G. (1983) Fifth Supplementary List of British minerals (Scottish). Mineralogical Magazine, vol. 47, n° 342, p. 99-105. Januzzi (1976) Mineral Localities of Connecticut & Southeastern New York State, p 234-5. Oen, et al: Neues Jahrbuch für Min. Abhandlungen:150:259-272; Dunn(1995):Pt4:552.